E-commerce Development has geared up towards the new heights if we take into account the last decade. It has also accomplished to obtain stronger governance over smartphones. Today, we can see a number of platforms available E-commerce Web App Development. Well, these platforms work in coordination with the programming language work in the backend and power the development of customized online business interfaces. And as we know, how quickly the world of technology is moving, therefore, it is imperative to satisfy the online shopper with customized interfaces and offer the view that ideally meets the user's preference. E-commerce development has powered the sale beyond the physical state. The market is expanding, making constant development and putting the large portion of their revenue in extending the digital store. The ease that e-commerce platform offers to make consumer comfortable in making an online order. Python and PHP are two famous programming languages, which are widely preferred by e-commerce developers. It is general-purpose programming languages having wide support for website development. Let's have a look at why Python Web Development the preferred for developing the eCommerce website. Be it an entrepreneur or start-up business looking looks for a highly functional site. And as we know, Python is easy to read and simple to understand efficient language and is easily used by a beginner programmer (who doesn't have without programming proficiency). The language is highly known for its easiness of its code readability. Python developers appreciate the support, the language provides with the expression of ideas with very few codes. Another great advantage of the Python is its adaptability to host over the various systems with least restraints. Python is a universally acknowledged programming language for any type of e-commerce development. It allows the optimum work executed through the Satchmo. Satchmo - an open source framework, which is programmed with python and dependent on the Django principles. For instance, if you are looking to build an e-commerce website in other framework or programming language, go with Satchmo for the high-grade integration of "Add to Cart" functionality. Further, for entrepreneurs, Satchmo is a great e-commerce development framework, as it renders the seamless functional e-commerce website that tendency to accommodate the changing requirements of the business. E-commerce website development is the selling point and must offer secure payment system to the consumers. At the time of online shopping, a customer is obliged to provide confidential credentials like CVV number and credit/debit card details. So, any security attack over the website can result in the huge financial loss of the customer, this is the reason commerce websites built with Satchmo do not save the user's CVV number so that data cannot be compromised. Satchmo can be combined into an array of online payment gateways, -easy to accept the feature for consumers. The notable Python framework facilitates the built-in shipping options, consisting of UPS, FedEx, Canada Post integration and USPS. With this customer can be offered with the customizable shipping alternatives like flat rate shipping and multi-level shipping based on order quantity. This great range of great features - Satchmo tenders Python web development as an ideal best option for robust e-commerce website development. When built in Satchmo - the eCommerce website easily maintain an updated database of customers, which proffers them observe their order history (even after they drop the session). It also allows adding multiple billing and shipping address. Unquestionably, the customers have the authority to scrutinize the whole store to seek the product of choice. Python developer warrants Satchmo-driven eCommerce websites to function on the basis of geo-location. It elucidates the production into the host of languages proffering the multilingual features for right development. It also provides provision to look for products that available in certain locations in real time. The add-on is the reformation of currencies as online billing procedure. 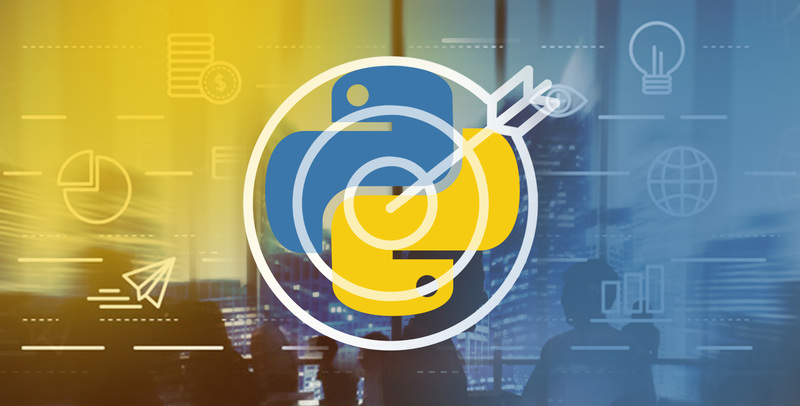 The amazing features of Python attract both the beginner and professional to go this language for the development. The wondrous set of capabilities further make it the most ideal option for the backend of the giants like Amazon. Undoubtedly, eCommerce Development Company prefers website development in python. Further, Django is the top choice by the developers to confront huge scale deployment and an essential level of security.